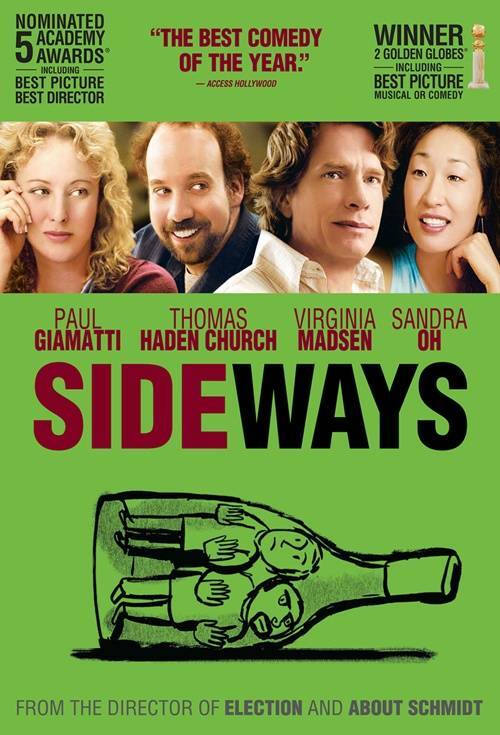 The hit 2004 film Sideways put Santa Barbara’s Wine Country on the map. After the success of the film, audiences were treated to a snapshot of what this stunning region has to offer – awe inspiring vistas with endless rolling hills concealing a patchwork of windy roads and charming towns possessing a distinctly old western feel. And lets not forget the authentic examples of cool-climate Pinot and Chardonnay, or the fact that in just a short two hour drive from the hustle and bustle of Los Angeles one can quite literally escape to this otherworldly paradise that’s seemingly frozen in time. But dig a little deeper, and the plot thickens. After spending a week in Santa Barbara Wine Country, I feel it’s the regions unexpected diversity, tightly-knit community of passionate farmers and winemakers and its unique topography directly exposing it to the harsh cooling influences of the Pacific Ocean that tell the whole story. Oh, and even Miles might be surprised to find that not only is there such a good thing as great Merlot, but there’s even great Santa Barbara County Merlot! What Makes The Region’s Topography So Unique? If you’re wondering how Santa Barbara County benefits from cool-climate conditions in what some consider Southern California, that’s a great question, and arguably one of the most important factors that make this part of the Central Coast such a special place to grow wine grapes. Interestingly enough, it is actually one of the coolest growing regions in all of California due to the highly unusual traverse orientation of the coastal mountain ranges that run from east to west, providing a natural border to the north and south of the Santa Ynez Valley and a parallel with the Pacific Ocean directly funneling its cool, persistent breezes into the region. These winds can reach up to 70 mph and are vital for world-class grape growing, serving to prevent heat spikes, preserve essential acids and prevent mold formation. They create a large diurnal shift, the difference between the high and low temperatures of the day. To offer a comparison, think of Napa and Sonoma, where the Mayacamas run North to South, blocking Napa from much of the cooling influences of the Pacific Ocean to the east. This is why Sonoma has a cooler, maritime climate while Napa Valley is consistently much warmer. Looking for ideas on where to stay in Santa Barbara Wine Country? Check out my recent stays at The Landsby Solvang and the Santa Ynez Inn! Richard Sanford discovered the regions potential for viticulture in the 1970s, as he searched for an ideal climate for the cultivation of the notoriously finicky, thin-skinned Pinot Noir grape. Where he chose to plant vineyards would eventually become the Sta. Rita Hills AVA. There’s much more than just great Chardonnay and Pinot Noir here. Santa Barbara Wine Country is as dynamic as it is diverse and I was surprised to not only find that Rhône varieties (think Syrah, Grenache, Viognier) are being cultivated here, but that they’re flourishing. And as you head east away from the coast (where temperatures become considerably warmer), you’ll even find fine examples of Sauvignon Blanc and Cabernet Sauvignon – which was wholly unexpected for me. As you travel from the Sta. Rita Hills AVA at the far west of Santa Barbara County to the Happy Canyon AVA at the far east, temperatures can vary by as much as 30 degrees! This explains why Sta. Rita Hills’ cooler climate is so sought after for Pinot Noir cultivation while Happy Canyon’s warmer climate is more suitable for the cultivation of the Bordeaux varieties. As a general rule of thumb, for each mile you travel west away from the ocean, temperatures will increase by 1 degree. As I met with producers all week, I got the distinct sense that I was meeting with farmers who happened to be in the wine business. Producers are refreshingly more interested in showing off their vineyards and soil compositions than touting their lofty wine scores or how exclusive their mailing lists are. 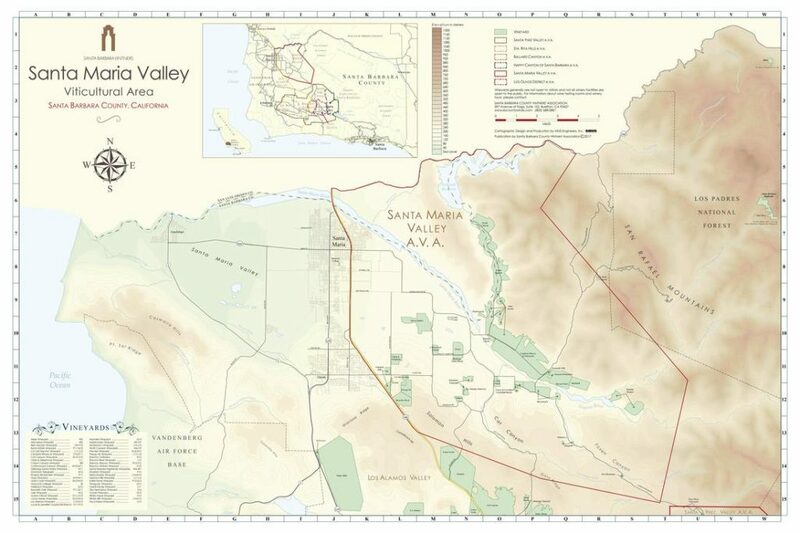 Santa Maria Valley is the northernmost AVA within Santa Barbara County, and was the first official AVA within the region. The valley is bound by the San Rafael Mountains and Los Padres National Forest to the east and the Solomon Hills and city of Santa Maria to the west. The Santa Maria Valley is sought after for its Chardonnay and Pinot Noir production, and is also home to about 80% of strawberry production in the United States. Since being first planted in 1973, Riverbench Vineyard has provided the foundation for well-regarded labels such as Carhartt, Byron, Foxen and Pali. But when new ownership took over in 2005, they recognized the quality of the fruit and decided to produce a small portion of their crop (roughly 25%) under the Riverbench label. 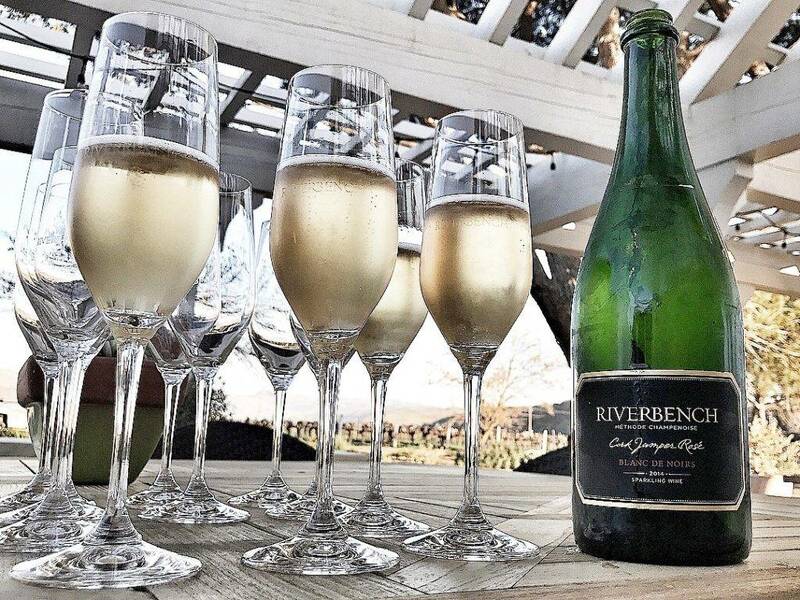 Today, Riverbench has a developed a loyal following for its Chardonnay, Pinot Noir and their unexpectedly good sparkling wines. Located at the entrance to the Santa Maria Valley, the estate spans 600 acres with around 150 acres planted to vine. While most of the plantings consist of Chardonnay and Pinot Noir, they are the only producer in Santa Barbara County to be growing Pinot Meunier – itself a testament to how serious they are about their sparkling wine program. (Pinot Meunier is one of the three main varieties used in the production of Champagne). They are also one of the few producers in Santa Barbara County to produce their sparkling wines entirely in-house, in the traditional labor intensive méthode Champenoise. Standouts from my tasting: The 2014 Riverbench Cork Jumper Rosé Blanc de Noirs was one of my favorite wines I tasted during my time in Santa Barbara. It’s positively sultry and refined, with a core of smokey cherry and pomegranate fruit underscored by hints of tangerine marmalade – all brought to life by incredibly fine bubbles. The fruit is sourced from the Mesa Block, which boasts some of the oldest vines on the estate, at roughly 40 years of age. This same block also provides the foundation for the equally compelling Mesa Block Pinot Noir, which possesses an intriguing interplay between its vivid red fruit flavors and more savory, earth inflected nuances. What you need to know about Riverbench: While Riverbench Vineyard has become a sought after source for Santa Maria Valley Pinot Noir and Chardonnay, the a small portion of the fruit is produced under the Riverbench label yielding roughly 7,000 cases per year. 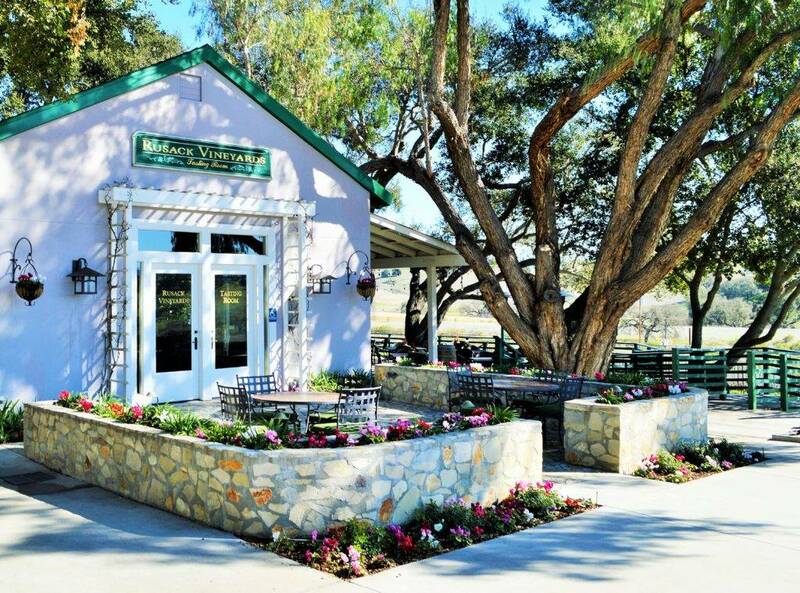 An old farmhouse has been converted into beautiful tasting room on the property, conveniently located off of Foxen Canyon Road at the entrance to the Santa Maria Valley. There is also a tasting room in the heart of Santa Barbara’s Funk Zone. Sta. 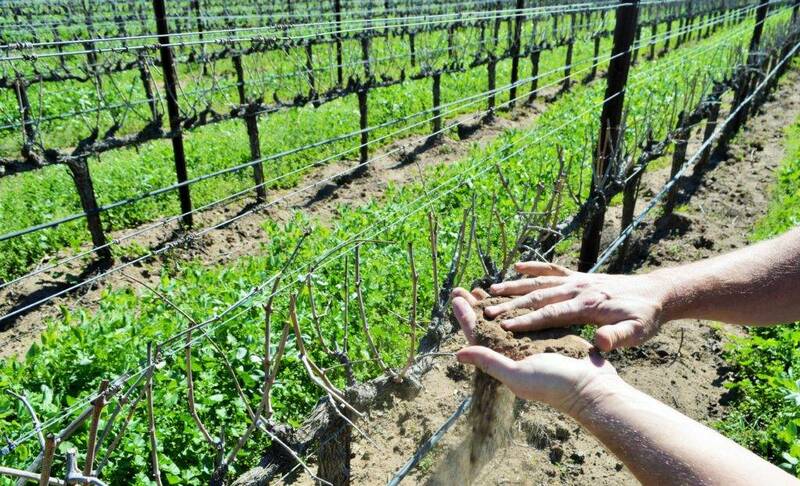 Rita Hills is actually located within the larger Santa Ynez Valley AVA, but its unique soils and microclimate warranted its own classification. 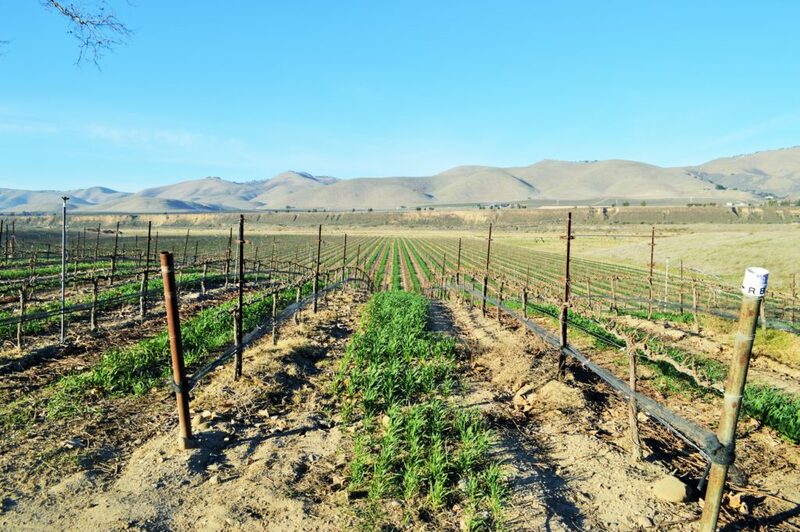 Bordered by the La Purisma Hills to the north and the Santa Rosa Hills to the south, the region contains roughly 1,700 planted vineyard acres within an area covering roughly 10 square miles. Being the closest to the strong maritime influences of the Pacific Ocean means that the Sta. Rita Hills is the coolest AVA within Santa Barbara County. On a typical day you can expect the blanket of marine fog to burn off around 10am, followed by several hours of sunshine before the the afternoon winds pick up, cooling things off again. Many years ago, what we know now as the Sta. Rita Hills was actually an ocean floor, which explains the one unifying aspect of the soils within the AVA – the underlying foundation of calcareous, limestone soils rich with fossils is not unlike those found in the great vineyards of Burgundy, where some of the worlds most sought-after Pinot Noir is grown. The stunning 1,100 acre Spear Vineyard estate is nestled in the heart of the sought-after Sta. Rita Hills AVA. 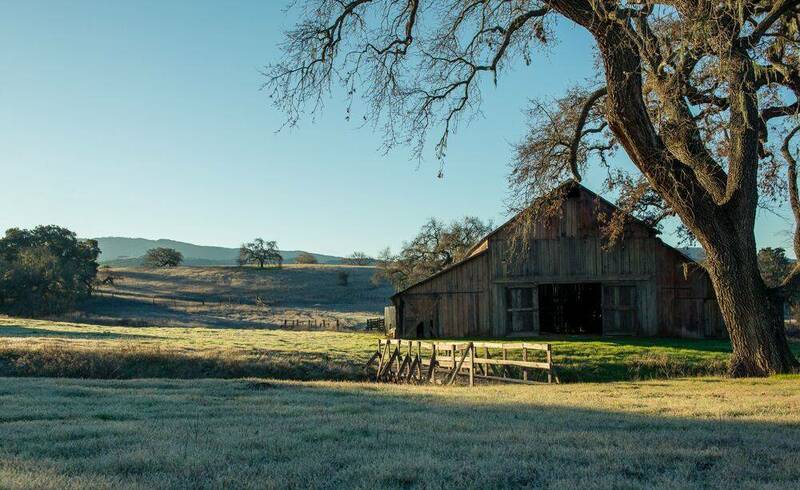 Beautiful Black Angus cattle call this rugged terrain home, along with just 38 acres of organically-farmed vineyards which follow the terrain’s natural contour – so that no trees had to be pulled out. Spear produced only about 1,300 cases under their own label in 2017, but that figure will gradually increase over time at roughly 20% per year. The remainder, and majority of the fruit cultivated on the property (around 80% of the crop) is sold to esteemed producers such as Brewer-Clifton, Babcock, Dragonette, Sanford Tribute to Grace and Liquid Farm. Spear Vineyards is one of the only sources for organically-farmed fruit within the AVA, in addition to being one of the only estates farmed entirely in-house. Vigneron Ofer Shepher has a profound passion and respect for this property, and his compelling portfolio of wines communicate just how special this place is. When Ofer founded Spear in 2005, he initially had his sights set on crafting world-class Pinot Noir and Chardonnay, but the success of Syrah on the estate was nothing short of incredible – an observation I shared as I tasted through his wines. Standouts from my tasting: The 2015 Gnesa Chardonnay offers a complex, intriguing array of orchard fruit underscored by hints of lemon oil, beeswax and spices with fine minerality. The 2016 Pinot Noir is everything you’d want from a Sta. Rita Hills Pinot Noir. It’s superbly fragrant with a core of bright red fruit grounded by savory mushroom, forest floor and subtle spice flavors. The 2016 Syrah is simply stunning, boasting a sumptuous texture revealing tar and graphite melding together over a core of bacon fat and wild herbs. Hints of dusty cocoa, white pepper and licorice build with persistence on the mid-palate before the seamless finish comes to a lengthy close. What you need to know about Spear Vineyards & Winery: A passion for farming informs the approach to winemaking at Spear. 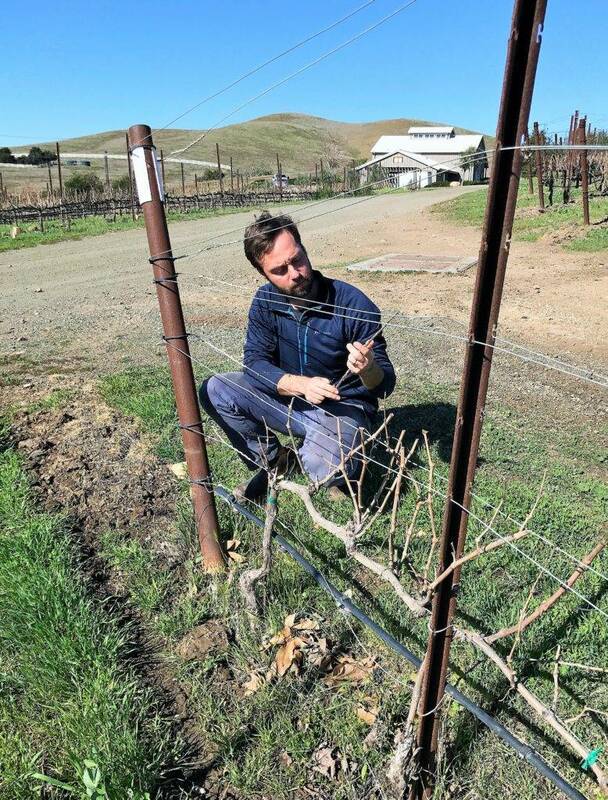 Vigneron Ofer Shepher utilizes a diverse combination of clone types, orientations, rootstocks and soil types on his 1,100 acre ranch to achieve the purest expression of Sta. Rita Hills fruit possible. 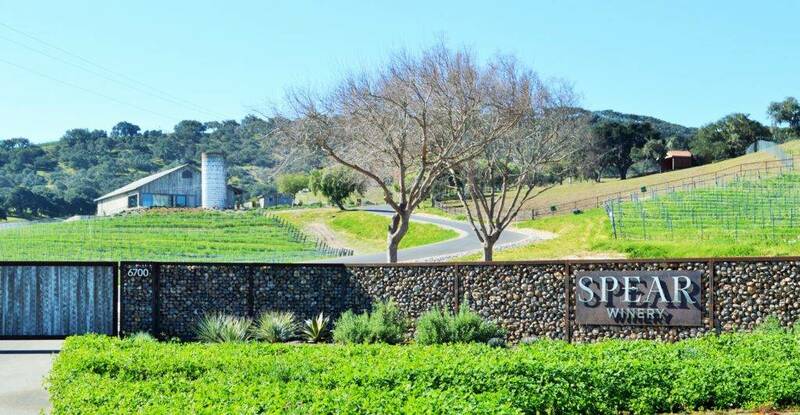 While Spear Vineyards & Winery sells much of their prime Sta. 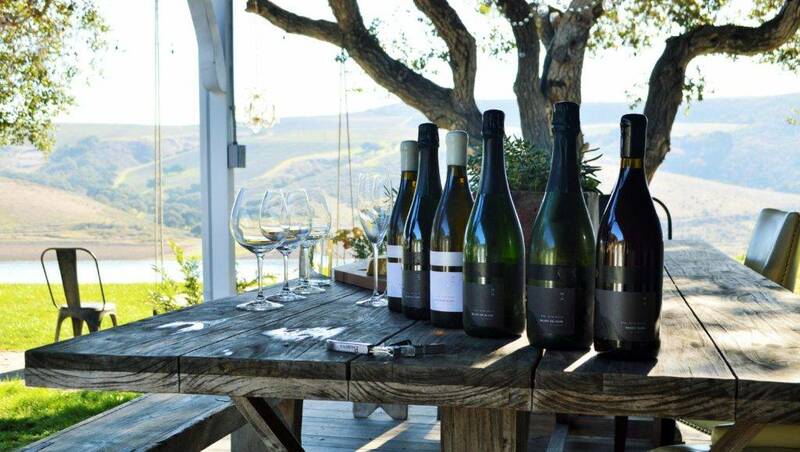 Rita Hills fruit to local producers, they retain a small amount for their own Spear label, which visitors can experience by appointment in contemporary new tasting room located on the estate. As Brian Strange spends his days battling Goliath corporations in class action lawsuits, its not surprising that he and his family would be drawn to the serenity of Santa Barbara’s idyllic wine country. He shares his this special respite with his wife, Shamra, and their five children. Paying homage to their blended family of seven, you’ll find “Strange 7” on each bottle of Strange Family wine. The picturesque 88 acre property is only reached after driving down a long windy dirt road. A total of 24 acres are planted to vine, with roughly 3 ares of Chardonnay and 20.5 acres of Pinot Noir. The wines are produced entirely from estate-grown fruit, and as I tasted through the portfolio I would have never guess that the property had just enjoyed its inaugural release less than a week before my visit. But alas, my disbelief waned as soon as I learned that Steve Clifton is in charge of winemaking at Strange Family Vineyards. In addition to the Pinot Noir and Chardonnay offerings you might expect, Strange Family vineyards also produces an exotic, spicy Pinot Noir Blanc as well as two sparkling wines: a Blanc de Blancs and Blanc de Noirs, which see three years of aging on the lees for added complexity. Shamra is passionate about sparkling wines, and wanted Strange Family wines to be a part of celebrations. Standouts from my tasting: The 2015 Sta. Rita Hills Pinot Noir is both expressive and distinctive, with candied cherry flavors developing alongside savory smoke, mushroom, forest floor and rhubarb. It has fine depth and lively acidity. The 2015 Sta. Rita Hills Chardonnay clocks in at just 11.7% ABV and immediately reminds me of Chablis. It’s one of the most austere whites I tasted during my time in Santa Barbara, as well as being my favorite Chardonnay. Lime citrus mingles with delicate white flowers and chalky minerality, with stunning purity to its green apple flavors carried by laser focused acidity. While we didn’t have time to taste the Blanc de Noirs, the Blanc de Blancs is a solid effort and thoroughly enjoyable sparkler, with baked bread and toasted nut flavors framing a core of green apple and subtle ginger spices. .
What you need to know about Strange Family Vineyards: This brand new producer is one to watch. With prime Sta. Rita Hills vineyards and winemaker Steve Clifton onboard, Strange Family Vineyard is sure to be a success. Interesting fact: The Strange family also owns historic Mattei’s Tavern in downtown Los Olivos. 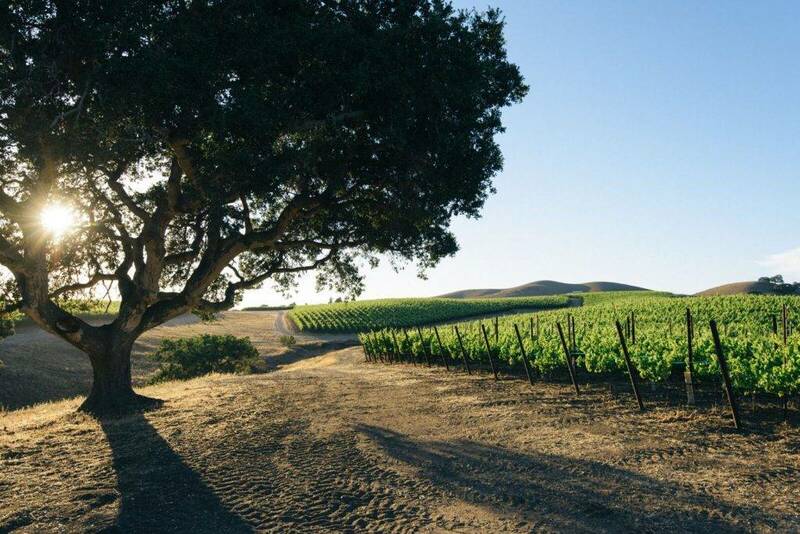 Nestled in the heart of the larger Santa Ynez Valley AVA, Ballard Canyon is small but mighty. The unique climate and soil types found within this canyon lend themselves to the cultivation of its signature Rhône varieties like Syrah and Grenache along with Sangiovese, Cabernet Sauvignon and Cabernet Franc. Of the 530 acres planted in Ballard Canyon, 274 are planted to Syrah with Grenache clocking in at 61. Whites thrive here too, with Sauvignon Blanc, Viognier and Roussanne proving successful. There are only about 10 vineyards and 8 producers currently within Ballard Canyon, and only one, Rusack Vineyards, is open to the public for tastings. While Rusack may be the only winery open to the public in Ballard Canyon, that’s not the only reason to visit. Let’s just say that Rusack seems to do it all, and do it surprisingly well. Typically when I see large, diverse portfolio of wines it makes me nervous about quality. But as I tasted through a wide assortment of wines, from Sauvignon Blanc to Pinot Noir, even a Zinfandel from their estate and one produced from a vineyard they own on Catalina Island, I was pleasantly surprised. Winemaker Steve Gerbac certainly has his hands full, overseeing production of the Rhône-inspired wines from their estate in Ballard Canyon, along with the Burgundy-inspired Pinot Noir and Chardonnay offerings sourced from vineyards located in the Sta. Rita Hills and Santa Maria Valley AVA’s (in addition to the Catalina Island project and a handful of other wines). Steve Gerbac points out the sandy well-drained soils on the Rusack estate, which was once an ancient beach. Standouts from my tasting: The 2016 Sta. Rita Hills Chardonnay Mt. Carmel Vineyard is intensely pure and focused, showcasing plenty of body yet with fine tension and restraint to its flavors of crème brûlée, orchard fruit and subtle spices. Lively acidity and a mineral edge complete this beautiful Chardonnay. The 2015 Pinot Noir Santa Catalina Island Vineyard offers a departure from the new world with fragrant rose petal framing a core of bright cherry fruit, savory underbrush and earth. The Reserve Syrah is a beautiful wine. A barrel selection of the finest lots, it’s age-worthy and structured with impressive length and presence. 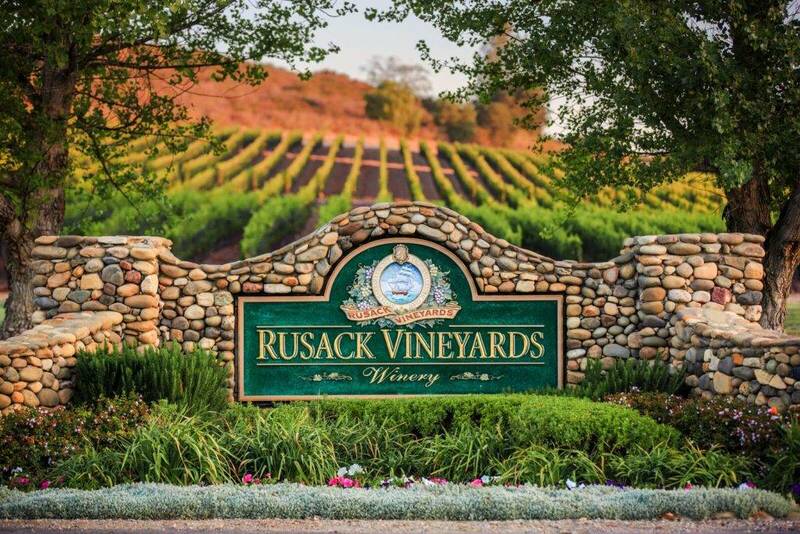 What you need to know about Rusack: Founded in the 1970s, it was the first winery in Ballard Canyon (known as Ballard Canyon Winery before the Rusacks purchased it in 1992) and is the only winery open to the public for tastings. 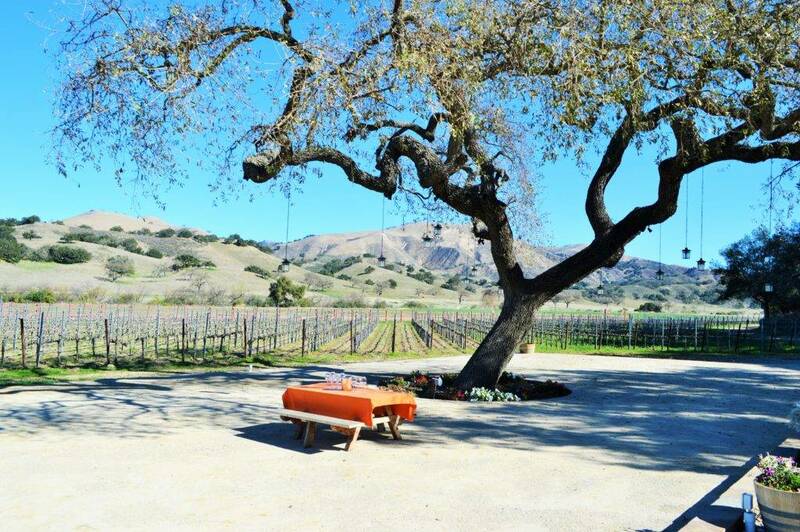 Guests can enjoy the shade of the 150 year old live oak on the terrace while soaking in the vineyard views and a diverse, compelling portfolio of wines crafted by talented winemaker Steve Gerbac. Nestled in the foothills, at the entrance to Ballard Canyon lies picturesque 30 acre Kimsey of which roughly 20 acres are planted to vine. Sadly, this gorgeous property is not open to the public, but I wouldn’t be sharing it if I didn’t think it was well worth getting your hands on as much of the 375 case annual production as is fiscally responsible. Matt thinks too many people talk about what they did to the wine rather than where the wine comes from, and he wastes no time getting his hands dirty, explaining that in this part of Ballard Canyon, there’s a lot of well-draining sand in the soils – which range from sandy loam to a loamy clay. This intrepid approach to viticulture combined with the warm days and very cold nights results in a truly compelling portfolio of wines, which across the board possess stunning concentration and extract, yet retain surprising freshness. And to keep things simple, each wine is priced at $60, which is simply a fine value for this level of quality. Standouts from my tasting: Tasting through the 2014 and 2015 vintages of the Kimsey White, Grenache and Syrah, what really stands out are two commonalities shared by all of the wines – their stunning complexity and sumptuous texture. The two vintages, however, couldn’t be more different, as 2014 shows more elegance and restraint while 2015 is a vintage of power and concentration. Matt believes white Rhône wines are all about texture, and the 2014 Kimsey White does not disappoint. There are just 56 cases of this blend of 70% Roussanne and 30% Viognier, which possesses a subtle, restrained lanolin-scented nose that belies its exotic core of spicy passion fruit. The 2014 Grenache is a stunningly complete, harmonious effort that possesses an intriguing duality between its inky, concentrated flavors of cured meat and white pepper lifted by delicate, perfumed violet aromatics. The 2014 Syrah offers similar depth and concentration but with finer structure any more savory suggestions of game and black olive. The downright explosive 2015’s take these already inky, concentrated efforts to another level with impressive amounts of teeth-staining extract, yet most impressively of all manage to maintain fine freshness. and never feel cloying or heavy on the palate. 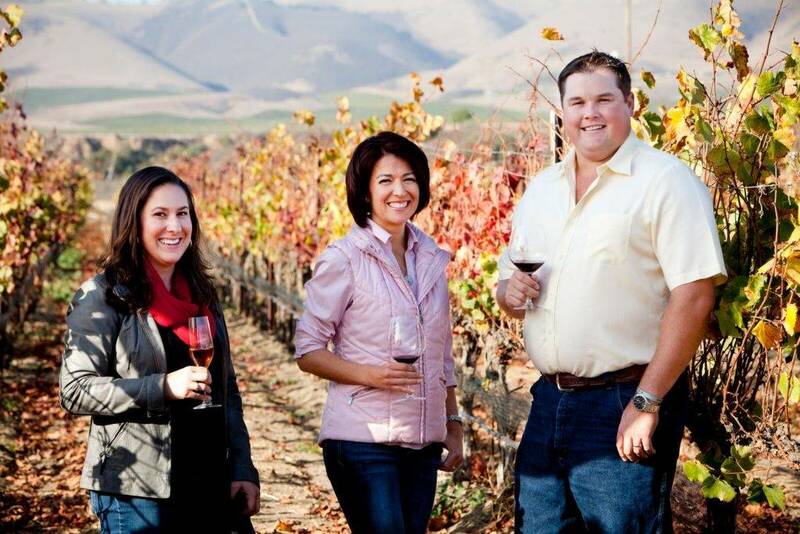 What you need to know about Kimsey: While Kimsey sells the majority of their fruit to local producers, a small percentage (~16%) finds its way into the immensely talented hands of winemaker Matt Dees. The portfolio is rather simple, despite the wines profound complexity: Three wines are available in each vintage: the Kimsey White, Grenache and Syrah at $60 per bottle. 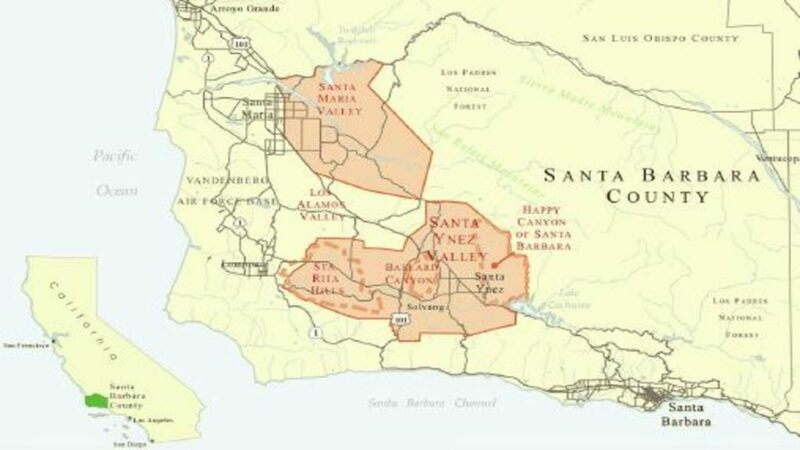 The Santa Ynez Valley AVA covers a lot of ground within Santa Barbara County, and has the most diversity as well as the highest concentration of wineries. Traveling along the east-west corridor that defines its boundaries you’ll find the Sta. Rita Hills AVA to the far west. 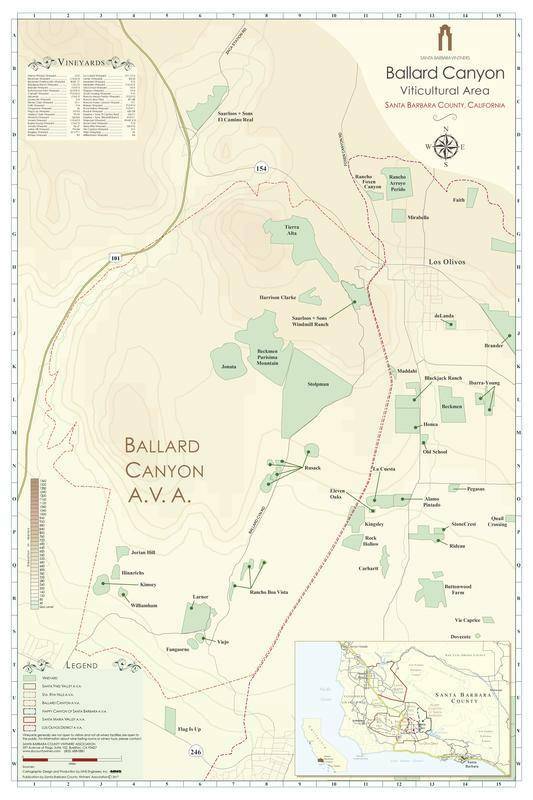 As you travel east, you’ll encounter Ballard Canyon, then Los Olivos District and finally Happy Canyon. For this reason, you shouldn’t be surprised to see a a diverse range of varieties thriving within the AVA, from Pinot Noir to the west to Cabernet Sauvignon and even Italian varieties to the east. But if Winemaker Blair Fox’s simply awesome vanity plate ‘SYRAHHH’ offers any indication, the Syrah is something of a passion project at Fess Parker, and is as deserving of your attention as any. In 2005, Blair took over winemaking responsibilities from Fess’ son, Eli Parker. A native of Santa Barbara County, Blair was awarded the Andre Tchelistcheff “Winemaker of the Year Award” by the largest wine competition in the world. Drawing on a tapestry of 115 acres of estate fruit along with carefully selected vineyard sites throughout Santa Barbara County, Blair utilizes old world winemaking techniques to craft a compelling, diverse portfolio of wines. There’s even a new line of Napa Valley Cabernet’s, as well as a sparkling wine produced entirely in-house in the traditional méthode Champenoise. Standouts from my tasting: Fess Parker produces roughly 1,000 cases of sparkling wine, as sparkling wine is a passion for Eli Parker’s sister, Ashley. The Fesstivity Sparklers are one of the few in Santa Barbara County produced entirely in-house, and the Blanc de Noirs is an appropriately festive effort. It’s crisp, energetic and really expansive in the mouth, with orchard fruit accented by ginger spice and roasted nuts that build with solid persistence. The Marcella’s White is a Rhone blend produced mostly from estate fruit and named for Eli’s mother. It’s clean and bright, possessing fragrant aromatics and hints of lemon oil. The sailboat on the label pays homage to the families love of the water, where this immensely refreshing white will be right at home. The Ashley’s Pinot Noir is produced from vineyards planted in 1997 and 1998 in the Sta. Rita Hills, and these older vines yield thicker skins which translate to a more concentrated, structured Pinot Noir. This spicy, sumptuously textured effort was my favorite Fess Parker Pinot. But It’s the Rodney’s Vineyard Syrah that really steals the show for me. Blair describes this wine as the flagship wine from the estate, and it’s undeniably a fitting ambassador. It pours an inky, purple color and comes to life with aromas of wild herbs, tar and white pepper. In the mouth, tobacco, cured meat and smoke nuances build alongside hints of dusty cocoa. At $48, it’s a terrific value that manages to balance power and freshness, resulting in a truly refined Syrah. 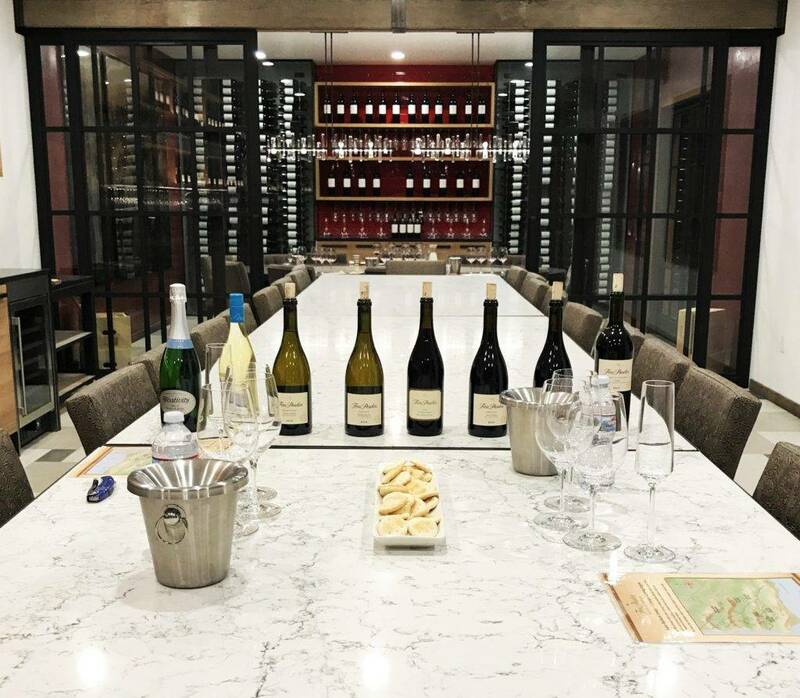 What you need to know about Fess Parker Winery: While Fess Parker has become synonymous with Santa Barbara County Pinot Noir and Chardonnay, theres’s plenty more to like at this fixture along the Foxen Canyon Wine Trail. Noteworthy examples of Syrah and sparkling being crafted by talented winemaker Blair Fox are similarly not to be missed. The historic barn served as the original headquarters for the Gainey Ranch in 1962. It has since become a popular filming location for TV commercials. The Gainey Ranch made movie history when Of Mice and Men even was filmed here. 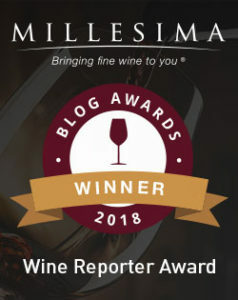 Sure, there’s been considerable discourse here about great Chardonnay, Pinot Noir and Syrah, but I was downright surprised to find great Merlot, Cabernet Franc and Cabernet Sauvignon too. That revelation came during my time with Winemaker Jeff LeBard at Gainey Vineyard, who has been with Gainey for ten years and shares my enthusiasm for these great Bordeaux varieties. 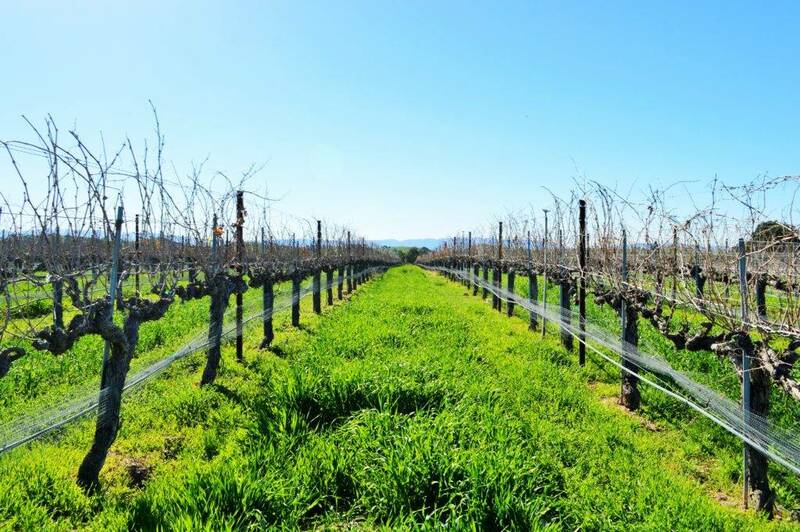 The history of Gainey Vineyard dates all the way back to 1962, when proprietor Dan Gainey’s father and grandfather purchased 1,800 acres of undeveloped land along the eastern end of the Santa Ynez Valley. Shortly thereafter, they began a cattle operation and converted 600 acres to farmland. After Dan’s grandfather passed, his father would eventually plant 50 acres of grapevines on their home ranch after recognizing its potential for viticulture and realizing a dream of producing a wine in their families name. Today, the property is divided into three separate ranches comprising roughly 210 acres. The home ranch, where the winery and tasting room is located, is located on the eastern fringes of the Santa Ynez Valley and benefits from warmer daytime temperatures – making it the perfect place to successfully ripen Merlot, Cabernet Franc and Cabernet Sauvignon. Standouts from my tasting: These are wines of texture, with generous, ripe fruit flavors seasoned with savory undertones. The 2015 Pinot Noir is a bolder expression of the variety than the majority I tasted in Santa Barbara, boasting a core of rich black cherry fruit grounded by hints of smoke and lingering brown spices. Jeff blends fruit from old and new vines to achieve this fine balance of “brawn and beauty” as he describes. The Merlot is utterly delicious, possessing wonderful purity to its rich core of plum, vanilla and baking spices. Hints of sage and licorice add interest while dusty cocoa builds with persistence on the palate. The Cabernet Franc is structured and intriguing, revealing nuances of rose petal, black cherry, wild herbs, white pepper and hints of tobacco within its silky, plush texture. And last but certainly not least, there’s not a hint of green in the full-throttle Patrick’s Vineyard Cabernet Sauvignon, which boasts a dense array of sweet creme de cassis and cherry liqueur underscored by coffee, pipe tobacco, brown spices and dusty cocoa. What you need to know about Gainey Vineyard: There’s beauty in the unexpected. As in just how unexpectedly good Merlot, Cabernet Franc and Cabernet Sauvignon can be in Santa Barbara County. 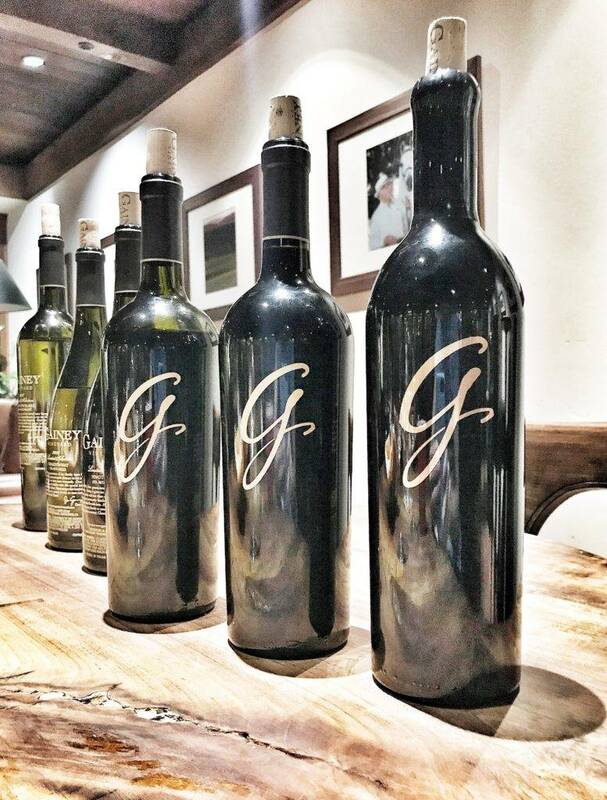 While succeeding in a diverse range of varieties including the usual suspects, the Gainey Vineyard home ranch is located on the eastern fringes of the Santa Ynez Valley, where its unique microclimate receives just enough warmth to fully ripen Bordeaux varieties. Winemaker Jeff LeBard is crafting seriously compelling wines from all estate fruit here, and if you think Santa Barbara is incapable of producing great Cabernet then I recommend taking the Gainey challenge. 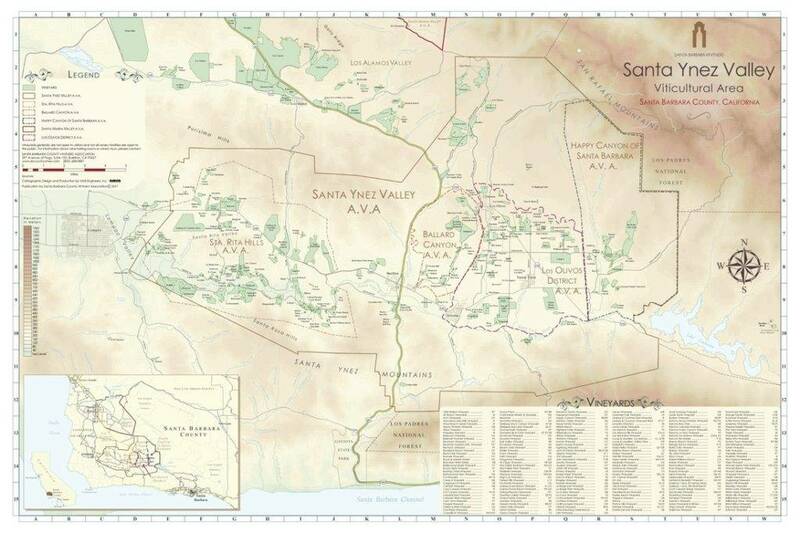 To talk about Santa Barbara County Syrah and not mention Zaca Mesa would be a grave injustice. 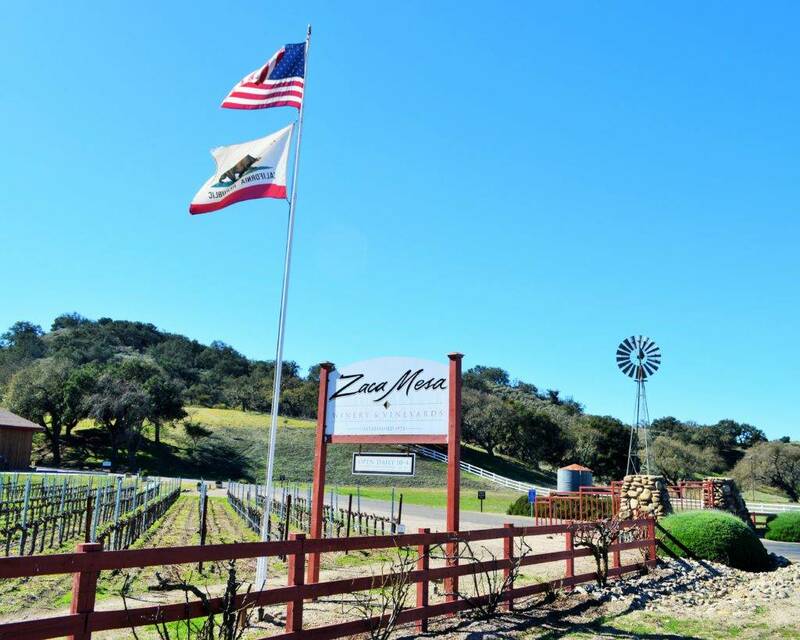 Founded in 1973, Zaca Mesa was one of the regions first wineries and early pioneers. The region more closely resembled the wild west when its owners purchased the property, with the hopes of successfully cultivating Bordeaux varieties. But the learning curve was long and steep, and the owners eventually identified the potential for Rhône varieties on the estate when former winemaker Daniel Gehrs made the astute observation that the property was too far inland to produce quality Pinot Noir yet not quite hot enough to properly ripen Cabernet Sauvignon . The Black Bear Syrah Block at Zaca Mesa Winery contains the oldest Syrah vines on the Central Coast. Today, 150 acres of the 700 acre ranch is planted to 100% Rhône varieties, with 80 acres (and 9 different clones) dedicated to Syrah, which Zaca Mesa was the first to plant in Santa Barbara County and its Black Bear Syrah block is the oldest block of Syrah on the Central Coast. A number of the regions top winemakers have cut their teeth at the winery, too, earning it the reputation ‘Zaca University’. Founding winemaker Ken Brown went on to achieve great success with his label Byron in the Santa Maria Valley and later Adam Tolmach, Jim Clendenen and Bob Lindquist before founding Ojai, Au Bon Climat and Qupé, respectively. Eric Mohseni is in charge of winemaking now, and having been with the winery for an impressive 17 years we joked that he hadn’t graduated yet. But in reality, that couldn’t be further from the truth… He knows this property like the back of his hand, and seems to be most comfortable amongst the vines he’s so impassioned by. Standouts from my tasting: While Viognier is not exactly a white I reach for often, I have to admit that Zaca Mesa’s is simply outstanding. Inspired by the great wines of Condrieu, it possesses the perfumed aromatics you expect from a Viognier, yet with unusual restraint and impeccable balance. Notes of lemon chiffon and lychee fruit are enlivened by vibrant acidity. Typically based on Grenache or Mourvèdre The 2014 Z Cuvée is Zaca’s flagship Rhône blend. It’s a tremendous value ($22) with a spicy, briary core of dense black cherry fruit laced with white pepper, rose petal and earth. Eric describes Grenache as a shape shifter, incredible for how many wines you can make out of it considering it can range from a medium-bodied red with bright fruit to a port-style wine, with bold, liqueur-like flavors. The 2014 Syrah is a blend of all of the vineyard blocks. It’s juicy, iron-tinged core blackberry and black raspberry fruit hints of smoke and licorice on the finish. The 2014 Black Bear Syrah, produced from the oldest Syrah vines in Santa Barbara, is a stunningly complete, polished and harmonious effort. It’s depth of flavor belies its level of refinement, with a sleek satiny texture and lingering suggestions of graphite and spice on the finish. 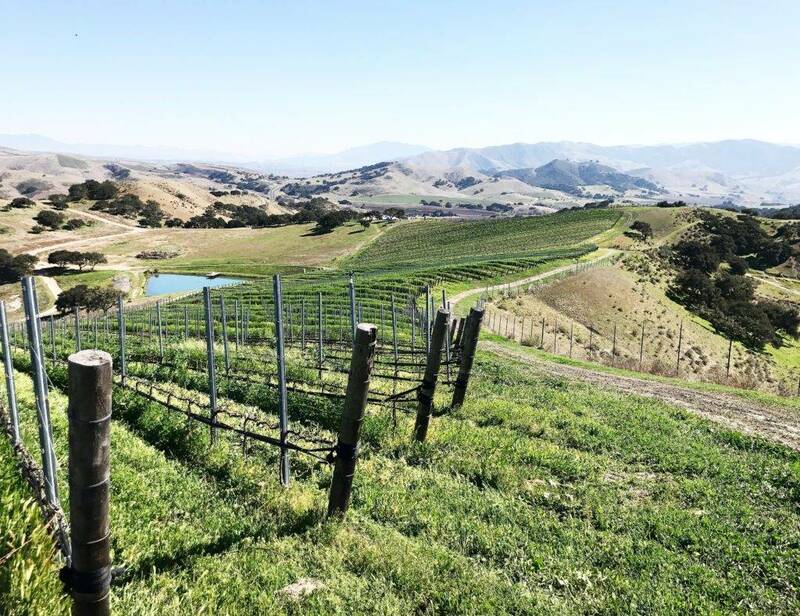 What you need to know about Zaca Mesa: An early pioneer in the Santa Ynez Valley, Zaca Mesa was the first to plant Syrah along the Foxen Canyon Wine Trail. 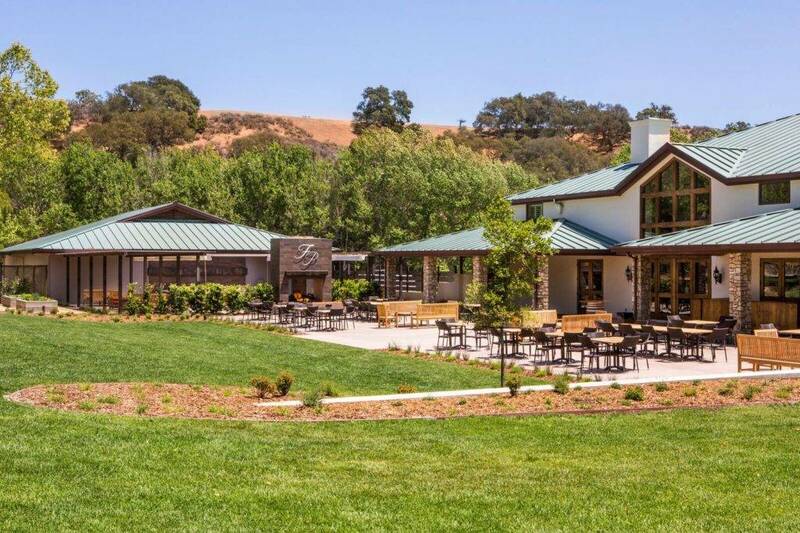 Since that time, a number of well-respected winemakers have cut their teeth at Zaca, earning it the reputation of Zaca University. 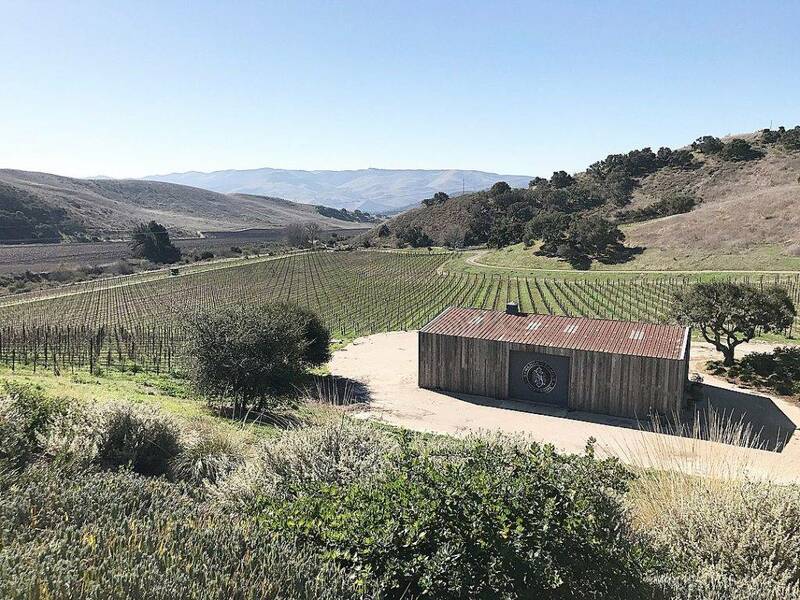 While Zaca Mesa has become synonymous with the production of Rhône varieties, they now produce a portfolio of wines sourced from key vineyard sites throughout Santa Barbara called Homage Collection. They offer a wide variety of compelling wines, many of which are solid values. The property reaches some of the highest vineyard elevations in the county, at between 1,400 and 1,500 feet, and its vineyards are farmed organically. *No consideration was received for publishing this article. All thoughts and opinions expressed are entirely my own. While most of the photos are my own, some were borrowed courtesy of that winery. This entry was posted in California Wines - Reviewed, Winery Visits and tagged Ballard Canyon AVA Map, Best Restaurants Santa Barbara Wine Country, Best Santa Barbara Wineries, Black Bear Syrah Block at Zaca Mesa Winery, Fess Parker Winery, Kimsey Vineyard, Matt Dees Kimsey, Matt Dees Kimsey Vineyard, Riverbench Vineyards & Winery, Rusack Vineyards Ballard Canyon Wine Tasting, Santa Maria Valley AVA Map, Santa Ynez Valley AVA Map, Spear Vineyards & Winery Review, Spear Vineyards & Winery Wine Tasting, Spear Winery, Spear Winery Observation Deck, Sta. Rita Hills Ava, Sta. 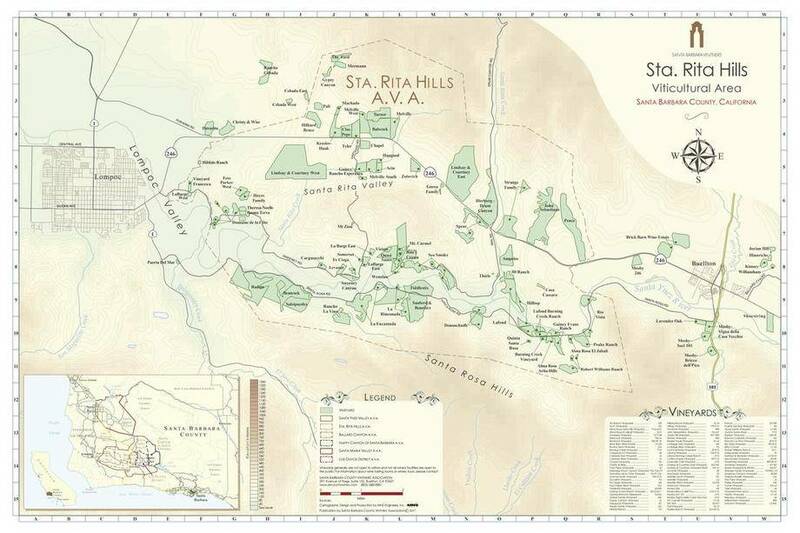 Rita Hills AVA Map, Strange Family Vineyards Review, Strange Family Winery, Top Wineries in Santa Barbara, Where To Taste in Santa Barbara, Zaca Mesa Winery on February 28, 2018 by The Fermented Fruit. Another fantastic piece Ryan! Very thorough and such great insight. Thanks so much guys! I appreciate your taking the time to read it. I know this one got a bit long but there was quite a bit of ground to cover! Fantastic post Ryan. So glad you enjoyed the Central Coast! Thanks so much, Peter! Appreciate your taking the time to read my article.